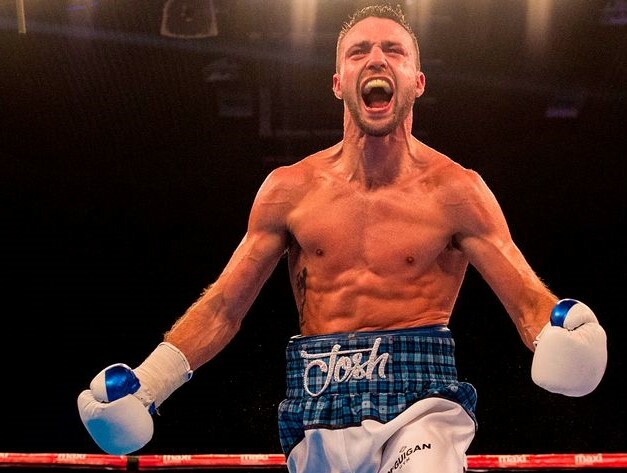 Undefeated Scottish southpaw Josh Taylor 13-0 (11) wants to emulate his hero Ken Buchanan and win a world title on the road, according to his promoter and manager Barry McGuigan. The 27-year-old “Tartan Tornado” has long admired his countryman Buchanan, who travelled abroad to face WBA lightweight champion Ismael Laguna in Puerto Rico almost 48 years ago. The Edinburgh fighter overcame the odds to rip the title from the champion after 15 gruelling rounds. After defeating Viktor Postol 29-2 (12) on Saturday night, Taylor will now get a shot at the WBC title held by Jose Carlos Ramirez providing the champion gets past Danny O’Connor as expected on July 7. “One of his heroes is Kenny Buchanan who went to Puerto Rico and won the world title, then unified it in Madison Square Garden,” said McGuigan to the Edinburgh Evening News. “Josh would love to do something like that. I think Ken was unfortunate in that he didn’t have enough backing and support over here, so he had to travel. Josh is not in that position. We have a television company behind us and a number of other irons in the fire. “We can’t cut off our nose to spite our face – we’ll look at all the possibilities and see what’s best for Josh. “Ken had no choice. The only reason he went abroad was because he didn’t have a big crowd, he didn’t have a television company or a big organisation behind him, so he had to go on the road. That almost gives him more merit, but ultimately, thank God we’re not in that position. “We’re in a very healthy position at the minute. I can’t go into detail, but it’s amazing. Saturday was a gateway fight and we had to get over that hurdle and now it’s a great thing to have a couple of option in this business. If Taylor does have to travel to face Ramirez, McGuigan is confident that his charge will be unfazed by the challenge of fighting away from home.